So, you are looking for a new place to live in beautiful Manitoba, so the question becomes “Where can I rent in Winnipeg?” Despite all of the snow in winter, this stunning city has plenty of wonderful places to live that will suit your lifestyle. The city features neighbourhoods close to the city central, or those farther away from the busy downtown scene and closer to nature. Rentfaster.ca currently has 295 rentals available that have an average rental price of $1,094. 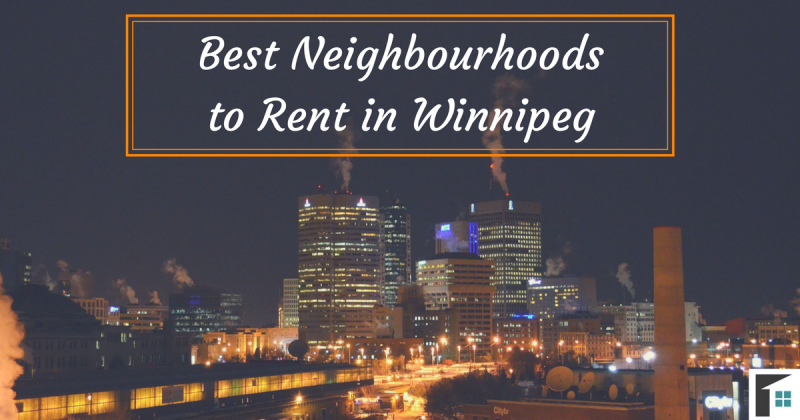 If you are looking to move to this diverse city, here are the best neighbourhoods to rent in Winnipeg! This neighbourhood dates all the way back to 1822 when the francophone settlers first arrived. The neighbourhood is known for its history (the Riel House National Historic Site – the family home of settler, Louis Riel), as well as its now thriving home to a number of different businesses and stores. The area contains the well-known St. Vital Centre, which features over 100 stores and food options – this mall being second largest in Winnipeg. This central neighbourhood is a quick 20-minute drive from the downtown core, perfect for those looking to be away from the hub of downtown but still within close proximity. There are currently 3 rentals available on Rentfaster.ca with an average price of $1,191. If you are looking to rent in Winnipeg close to the downtown core, then the Wolseley neighbourhood is just for you. This central Winnipeg neighbourhood is a quick 10-minute drive or 20-minute bus ride to the center of downtown. According to NextHome.yp.ca, the vibe in Wolseley is “retro-hip.” The reason for this vibe is because of the hippie history the area has had. But despite this history, the community is very close-knit and is proud of the number of little shops near Evanson Street and Westminster. On Rentfaster.ca there are 3 available rentals with an average price of $1,058. The neighbourhood of Norwood is split into two different sectors: Norwood East and Norwood West. The area began as a part of the St. Boniface neighbourhood (south of downtown), but later expanded into the two Norwood neighbourhoods. The Norwood East neighbourhood contains 4 schools and a variety of amenities, where the Norwood West neighbourhood is made primarily of residential areas. This area is popular due to its close proximity to the core as well as the amenities and the view of the river. There are currently only 2 apartment spaces available for rent in these neighbourhoods, with an average rental listing price of $774. This southern most neighbourhood was first the area of First Nations people, who loved the area for its fishing and hunting opportunities. Ever since, the neighbourhood has been known for its Canadian history and Provincial Heritage Park. This neighbourhood is also the location of Manitoba’s largest farmers market, the Le Marche St. Norbert Farmer’s Market. The area is filled with a number of different types of residence and is ever expanding. There is currently only 1 rental listing on Rentfaster.ca with an average price of $1,075, but more Winnipeg rentals are expected in the future. “The Crescentwood area was part of the City of Winnipeg’s first official suburb,” states the Corydon Community Centre. This beautiful community developed further once the bridges in the nearby area were constructed. The area is mainly known for its historical background, but is one that families tend to gravitate towards. The community is found in the southwestern area of downtown, a quick 10-minute drive to the core. Crescentwood is known as one of the wealthier areas of Winnipeg with its beautiful and luxury homes. But, if you are looking to rent in Winnipeg Crescentwood, it is still affordable. There are 3 rentals available on Rentfaster.ca with an average price of $1,739 for those looking to live in this family friendly area. If you are looking to rent in Winnipeg and crave the green outdoors, then the Tuxedo neighbourhood is just for you! Filled with a number of parks (including Tuxedo Park and Frederick Heubach Park), the neighbourhood is just south of the beautiful Assiniboine Park and river. Here there are plenty of recreational options, local events for kids and adults, as well as the Assiniboine Park Zoo! This western Winnipeg area is family friendly and perfect for those looking to stay active outdoors. In addition to the scenery, there are a number of amenities and cafes and restaurants accessible to the community residents. If you love the view of trees and park nearby, there are 3 rentals available on Rentfaster.ca with an average price of $1,195. Just south of the TransCanada highway is the neighbourhood of Richmond Lakes. This southern community is in close proximity to a number of different schools. In the center of the neighbourhood is the Perimeterl Grandmont Park and closer to the southeast corner of the neighbourhood is the Ducharme Park with its body of water. 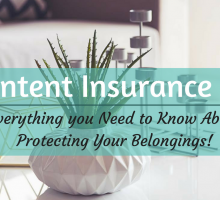 The community is lived in by people mainly in the age span of 25-60, which includes those looking to settle down as well as those looking to start up. There is currently only 1 rental available on Rentfaster.ca but likely will be more in the future. The average price of the rental in this area is $925. This community neighbourhood is located in the northernmost part of Winnipeg. The neighbourhood is just between Main Street and the Red River. Several small parks can be found in this area as well as recreational opportunities for those who live an active lifestyle. The community is much quieter than those located closer to downtown in the central Winnipeg areas, but is wonderful for individuals of all backgrounds and ages. There are currently 2 homes available to rent in Winnipeg, Seven Oaks neighbourhood, with an average rental price of $1,208. Mainly made up of a city golf course and greenspaces, the Niakwa Park is a beautiful place to rent in Winnipeg. Residential areas are found in the southern part of the neighbourhood and consist of a variety of dwellings, but mainly apartments and multi-level buildings. The homes are filled mainly with those living alone or with smaller amounts of people. This area is perfect for those looking to have a quick commute north to the downtown core (only a 10-minute drive). 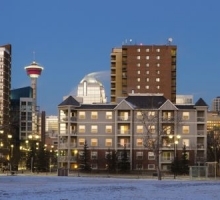 There are 2 apartment rentals available in this neighbourhood with an average rental price of $1,216. If you prefer a quieter pace of life, then the Windsor Park neighbourhood may be for you. The area is close to plenty of greenspaces including a golf course. This neighbourhood is perfect for those wanting a quiet area of living. There are a few shops and amenities for locals but mainly opportunities for recreational activities. The neighbourhood is just south of the Canadian National Railways Symington Yard, as well, the area is home to a number of schools. There are currently 2 rentals available with an average price of $883. Whatever style of living you are looking for, you can find what you are looking for and rent in Winnipeg. These affordable homes are surrounded by nature, history, and culture that are perfect for any pace of life. 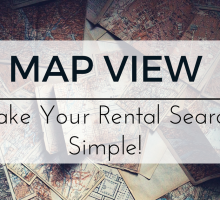 For more information and details on the rental listings in these areas, head over to Rentfaster.ca and find the rental that is best for you!